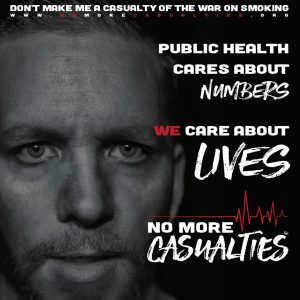 No More Casualties In The War On Smoking, the latest campaign from NotBlowingSmoke.org has erupted onto the scene in grand fashion. For over a month, Stefan Didak, founder and President of Not Blowing Smoke and Co-president of the North California Chapter of SFATA kept social media playing a guessing game with the focus of the campaign. An image with the words “No More” in plain sight, the final word blurred into obscurity until a couple of letters at the end were released in the days before launch. Media statistics on the site No More Casualties show that it has received almost half a million hits in its first 3 days of being live, impressive by any standards. The general public and many vapers do not realize that we are currently involved in a war that is not of our making. Public health agencies, tobacco control lobbyists, and governments have spent the last two years attempting to convince Americans that e-cigarettes are just as dangerous as combustible tobacco. The CDC, FDA, California Department of Health, Chicago and countless others have spent millions of taxpayer dollars spreading misinformation. Dr. Tom Frieden, head of the CDC, has even gone so far as to make the incredible comparison that e-cigarettes represent risk similar to HIV/AIDS and Ebola. 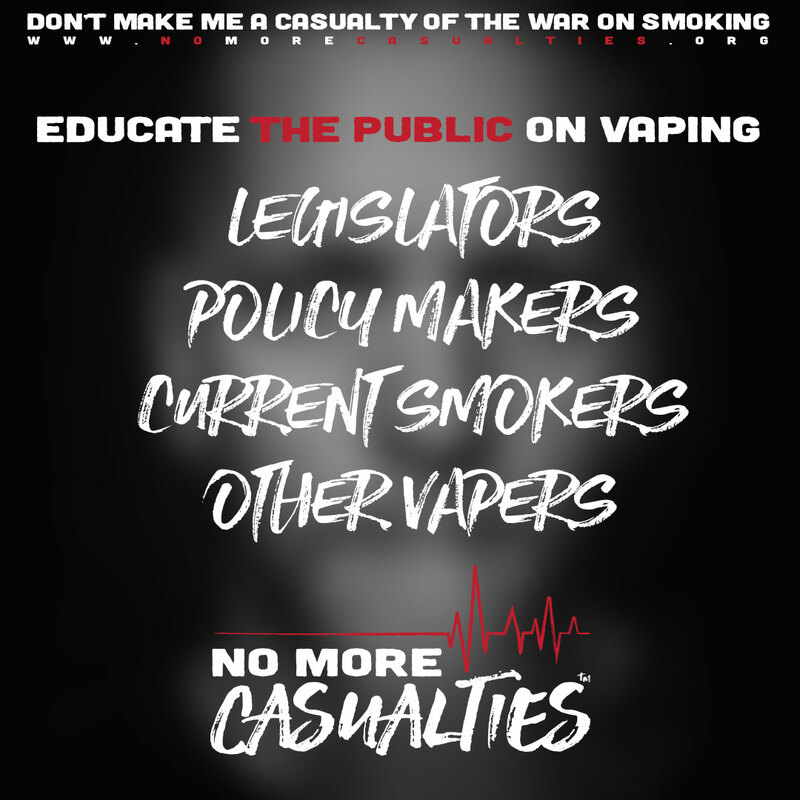 It’s time for vapers, public health professionals and taxpayers to stand up and say NO MORE. No more getting in the way of the 9 million Americans (many of whom have given up smoking completely) who now use these products, no more ignoring the fact that FDA-approved nicotine replacements fail more than 90% of the time, no more worrying about revenue at the expense of the health Americans, no more tailor-made science. 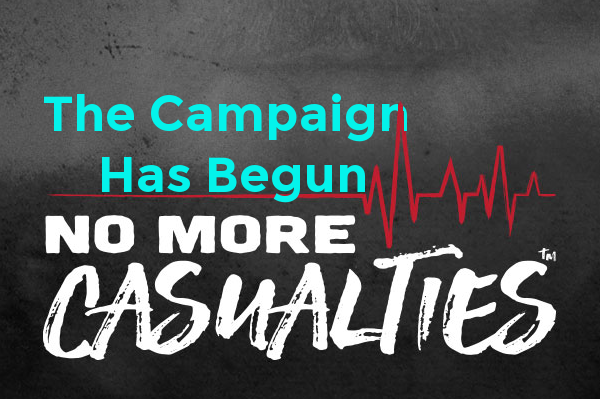 Extremely well-funded lobbying groups like Campaign for Tobacco Free Kids, American Cancer Society’s Cancer Action Network and hundreds of other public health associations work tirelessly to demonize vaping while 42 million Americans still smoke. Meanwhile, governments across the nation are spending untold amounts of your money to mislead, misinform and sometimes outright lie while rushing to tax, ban or limit adult access to e-cigarettes. They know as well as we do that the information they are spreading is false, but they have laid their cards on the table and are willing to bluff themselves into victory. They have no qualms about being labelled as liars, the campaigns they run are so convincing that were I not better informed, I may believe them. 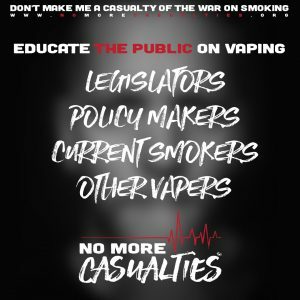 While vapers and many who work in the health care industry have come to accept the fact that vaping is 95% less harmful than smoking and is highly successful in helping people quit combustible tobacco, people in the United States who are supposedly working towards improving public health, are digging in their heels to push the industry into oblivion. 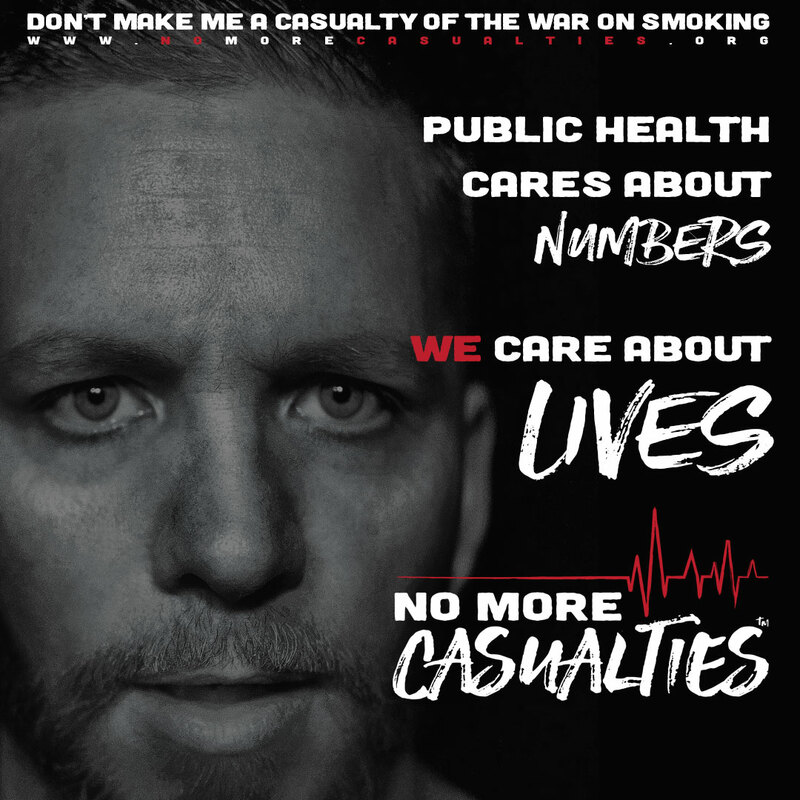 Public Health cares about NUMBERS. The time has come to expose the reasons why Public Health organizations have spent millions of dollars lobbying against vapor products. Current smokers, other vapers, policy makers, legislators, but above all, the general public, needs to understand why the vapor product category is receiving such unfair treatment, why its consumers demonized, and why the businesses get accused of being big tobacco front operations. The misleading propaganda put out by those with vested financial interests that wish to see this industry destroyed need to be exposed in the broadest possible way. Let’s go out and educate people. When he talks about a vested interest, the politicians, public health organisations and scientists behind the lies have one major thing in common. The more success that the vaping industry achieves, the more money they lose for their various projects. You can’t really have a Campaign for Tobacco-free kids if nobody smokes anymore, nor can politicians spend billions in cigarette generated tax revenue if nobody uses them. It is our job, as a vaping movement to help to educate everyone else. We need to stop accepting the fact that these people are more powerful and push back to beat them at their own game. They may have financial motivations to keep pushing forward with their lies, but out community has several things working to its advantage. We have science to back up our claims, we have a foreign government who are responsible for the health care of its citizens agreeing with us, and more importantly, we have 10 million people using these products who can stand up and be counted. This is a David Vs Goliath battle, but with the powerful imagery and message behind this campaign, it can help us go a long way to getting the idea into the heads of ordinary citizens. For more information and to be included in the campaign, click here.